Welcome back to the TV Week that Was. The week started off with one of the biggest controversies of all time, and the biggest Oscar mistake ever. Sunday night, Jimmy Kimmel hosted the Academy Awards and did a bang up job. He hit many, if not most, of his bits and the show was reasonably entertaining. However, once the Best Picture Award was to be announced, the broadcast stepped into some kind of Bizarro world. Presenters Faye Dunaway and Warren Beatty were given the wrong envelope (Best Actress) so when Beatty opened it, he was understandably confused. Everyone, including Dunaway, thought he was just messing around, keeping everyone in suspense. He showed her the card and she saw La La Land and announced the musical as Best Picture. The problem… it had not won. Moonlight was the actual winner for Best Picture, and what followed next was as surreal of a scene as you will ever see. Apparently, there is always two envelopes available depending on which direction of the stage the presenters enter from and the side where Beatty and Dunaway entered from had not gotten rid of the duplicate envelope. Hence, the most amazing Oscar moment was born. La La Land producer Jordan Horowitz took charge of the chaos and made sure that the Moonlight people knew that it was not a joke. Horowitz was rightfully commended by everyone for his actions on the stage in what had to be one of the worst moments of his professional career. This was an Oscar broadcast that will never be forgotten. Also this week, Jon Stewart made another surprise appearance on his old friend Stephen Colbert’s Late Show. Stewart came back again to speak on Donald Trump and the media. Jon Stewart’s distinct, intelligent and original voice has been missed terribly during this uncertain time with the Tweeter in Chief. I cannot imagine what Stewart would say if he were still on television regularly. Flash completed its two part Gorilla City story arc Tuesday night and the second part was quite a letdown. The invasion of the gorillas led by Gorilla Grodd should have been an epic encounter that Flash, Kid Flash and the crew had to struggle against, forever changing them. Instead, it took like 5 minutes and one moment of planning. Most of the episode was given to the Kid Flash/Jesse Quick relationship and the weird performances of Tim Cavanagh. I found the CGI to be just terrible, even by TV standards. Especially with the gorillas. After a pretty fun (though campy) part one episodes, I expected much more form Flash, but this was well below expectations for this series. Bates Motel is just full boar fun. 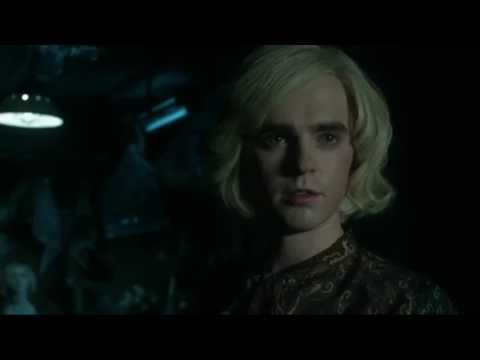 Seeing Norman dressed to the nines as Norma while talking to the frozen corpse of his mom in the cellar…well, Bates Motel has gone places where few TV shows have been willing to go. Your main protagonist is completely certifiable and you just love him for it. I personally cannot wait for Norman’s half brother Dylan to find out that Norma is dead and that Norman never told him. Dylan’s father (uncle) Caleb discovered Norman’s secret this week, but I get the definitive impression that Caleb may not be much longer for this world. On Screen Junkies Plus, Movie Fights have begun their March Madness programming. The first major event they held was billed as Rocha-Mantz III. John Rocha and Scott Mantz are both movie pundits that work in Hollywood, but they have had some contentious moments on the debate show as well as the Movie Trivia Schmoedown on Collider. 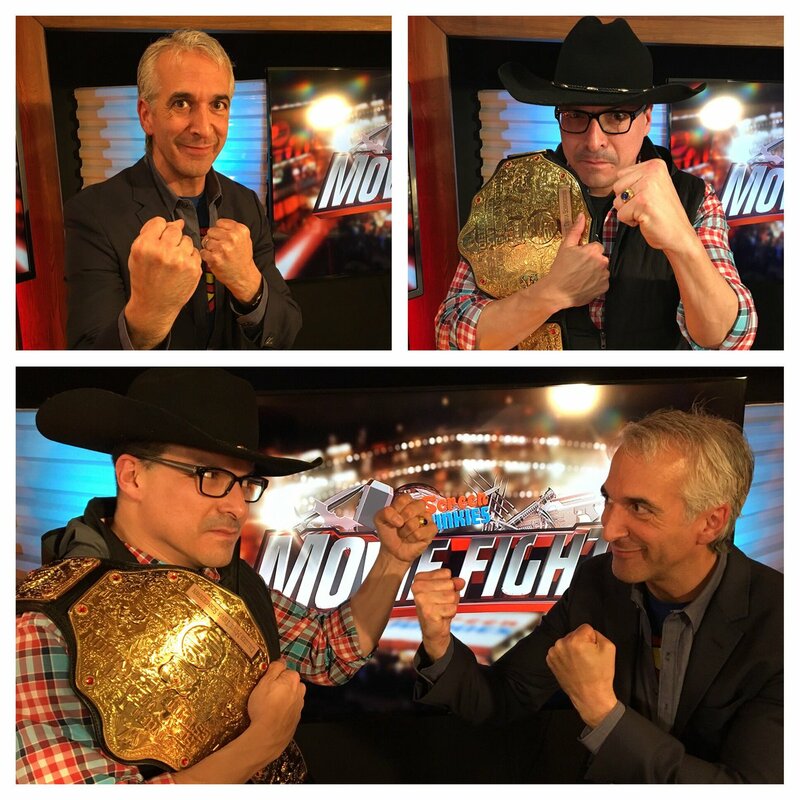 Movie Fights brought the pair in to do a special one-on-one fight this past Thursday on the streaming network. Judge Andy Signore moderated the debate that included such geek-tacular arguments such as Star Wars vs. Star Trek, Moonlight vs. La La Land and what was the best performance from Bill Paxton. The two plus hour show came up at a dead heat for the final speed round question which was won by Scott Mantz. Mantz will now go into a special #1 contenders battle to see who will earn a title shot at reigning Movie Fights champion Dan Murrell. Saturday Night Live returned from break and hit the cold opening hard with Kate McKinnon playing Jeff Sessions as Forrest Gump. The opening scene was just tremendously funny, taking advantage of the Sessions-Russian rumors that have been flying around Washington this week. However, I felt that the remainder of SNL (excluding Weekend Update) was lackluster. Considering the amount of crazy that had happened during SNL’s break, I expected way more than I got. The video tribute to the Republican who stood up to Trump- TBD was funny, but there was so much more that could have been mocked. Sunday night looks to be full of TV as we have The Walking Dead, the return of Once Upon a Time, the debut of Feud: Bette and Joan, and WWE Fastlane PPV. Have a good week of viewing. Jimmy KIMMEL hosted the Oscars. Confusingly, Jimmy Fallon hosted the Golden Globes.